The 'New Xbox One Experience' software update, which launches tomorrow, will kill off support for Kinect in the Xbox One's user interface. "With gestures, the reality was the usage was very, very low. So for now, we've cut that from the New Xbox One Experience. So when we launch on the 12th, they won't be in the product. We'll continue to monitor and listen to feedback to see if people want them in." 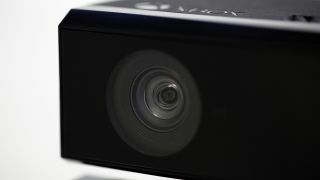 Presumably this means that you'll still be able to play games that support Kinect with the camera and mic - you just won't be swishing your arms around to navigate around the UI. The peripheral was originally bundled with the console at launch but soon fell out of favour with gamers who just wanted a more affordable console with fewer gimmicks. Since then, and following a significant lag behind Sony's PS4, Microsoft has done a 180-turn and has done everything it can to win back gamers' hearts and minds. Tomorrow's update is the most significant since the launch of the Xbox One and brings with it support for Windows 10 'Universal Apps', which should make it easier for apps to run cross-platform, on everything from Xbox One to Windows Phone. Perhaps the biggest immediate boon for gamers though is backwards compatibility for 104 Xbox 360 games.